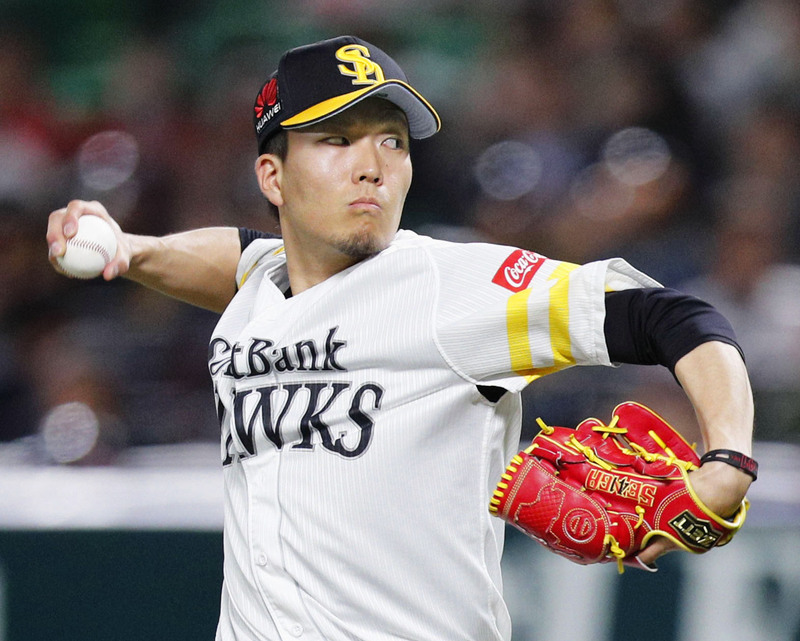 FUKUOKA - Fukuoka SoftBank Hawks pitcher Kodai Senga said Wednesday he has made no progress in persuading the Pacific League club to let him move to the major leagues. The right-hander, who turned 26 on Wednesday, has asked the two-time defending Japan Series champions to make him available to the major leagues via the posting system. 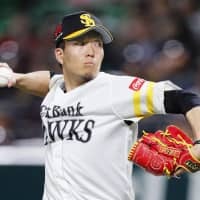 But the Hawks are one of two Nippon Professional Baseball teams to have gone on record saying they will not make use of the system. The pitcher said he had dinner with team president Yoshimitsu Goto on Tuesday evening and reported the club was not changing its policy. Senga signed with SoftBank out of high school after being was selected in the fourth round of the 2010 developmental draft. He has a career record of 42-21 with a 2.77 ERA and is high on the wish list of major league scouts who examine talent in NPB. He will not be able to file for international free agency until after the 2022 season at the earliest.